DEC +33°21’16” (2000.0) . North angle 89.4°; east 90° CCW from north. Sculpted by the fierce stellar winds of young stars illuminating this nebula, the two "Tadpoles" that give this object its unique appearance are actually about 10 light years in length each. Lying at a distance of about 12,000 light years from Earth, IC 410 is one of the true gems of the winter night sky. 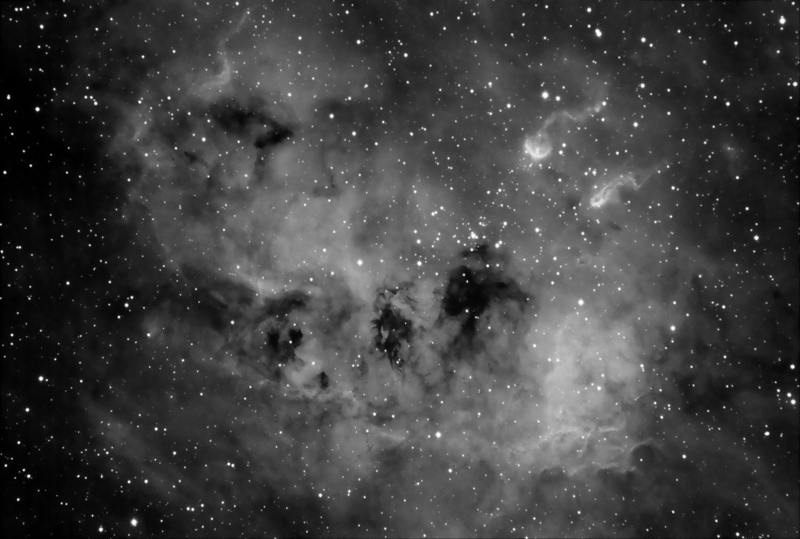 Open cluster NGC 1893, seen in the above image as the grouping of bright stars between the Tadpoles and the dark central region, is the source of UV radiation allowing us to observe this nebula.